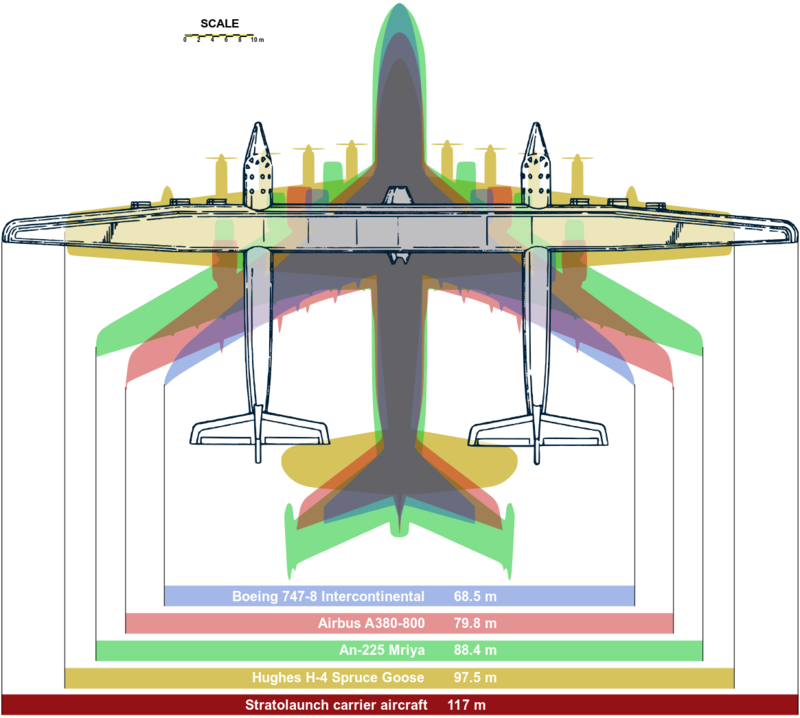 Called Stratolaunch, the plane has some impressive stats: a wingspan of 117 m, or longer than a football field, and a height of 15.24 m. Unfueled, it weighs 226,800 kg. But it can carry 113,400 kg of fuel, and its total weight can reach 590 tonnes. But, really ... how big is it? It’s so big that it has 28 wheels and six 747 jet engines. It’s so big that it has 96 km of wire coursing through it. It’s so big that the county had to issue special construction permits just for the construction scaffolding.